A view of the John C Campbell Folk School barns, as seen from one of the student residences. Swamp Ape Studios has no financial interest in any of the entities listed below. They are simply resources I have used and been happy with. A metal clay resource not being on my list doesn’t imply a bad review. It might be one that I simply have never used. Cre8tivefire.com. This website was the late, lamented Metal Clay Artist magazine, which forced, by circumstances beyond the publisher’s control, to cease publication. Folkschool.org. 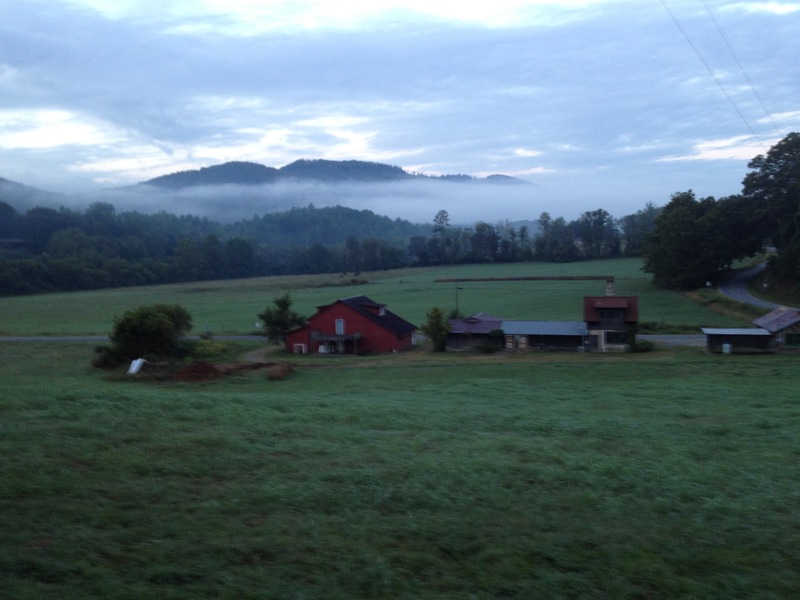 The John C Campbell Folk School, in Brasstown, NC, teaches week long and weekend classes in many, many arts, including metal clay, metalsmithing, and enameling. It is truly a magical place, a modern temple to the muses. I can’t say enough good things about it. If you have never been and you can, go. Pameast.net. I have learned most of what I know about metal clay from Pam East. She teaches in many locations (see her website) and has written and produced instructional videos.